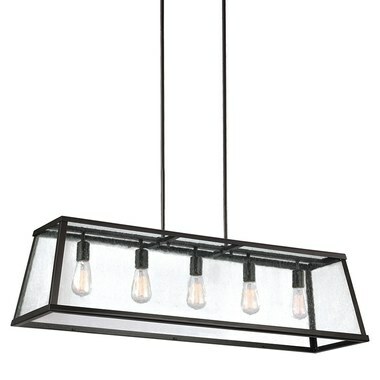 Combining the traditional profile of a tapered shade with on-trend Clear Seeded glass, the sleek frame and the square-linked chain give the Harrow pendant light collection by Murray Feiss an elevated, contemporary transitional look. 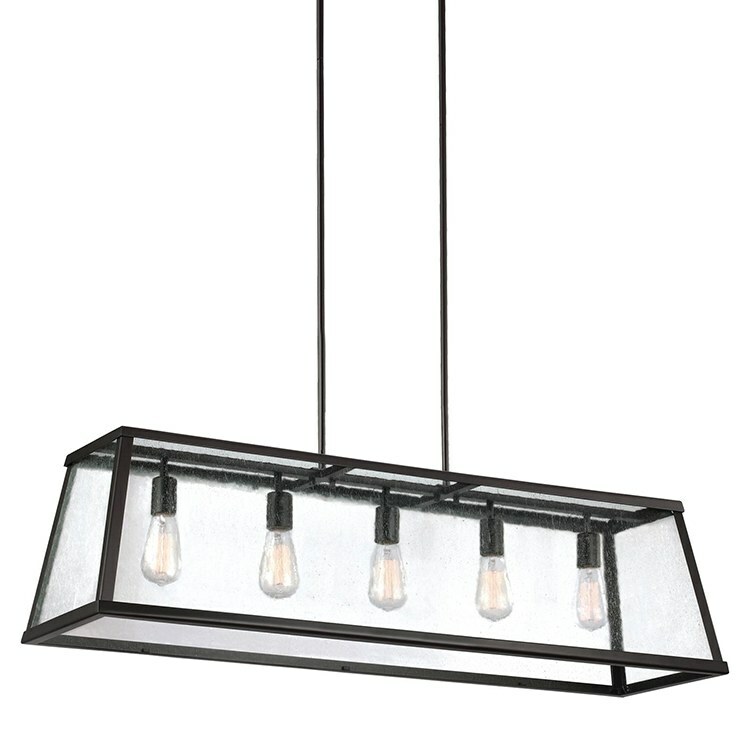 This five-light linear chandelier features an Oil Rubbed Bronze finish. A medium base squirrel cage antique bulb is recommended.